Q: Does marijuana pose health risks to users? The short term effects of marijuana use include: memory loss, distorted perception, trouble with thinking and problem solving, loss of motor skills, decrease in muscle strength, increased heart rate, and anxiety2. In recent years there has been a dramatic increase in the number of emergency room mentions of marijuana use. From 1993-2000, the number of emergency room marijuana mentions more than tripled. There are also many long-term health consequences of marijuana use. According to the National Institutes of Health, studies show that someone who smokes five joints per week may be taking in as many cancer-causing chemicals as someone who smokes a full pack of cigarettes every day. Users can become dependent on marijuana to the point they must seek treatment to stop abusing it. In 1999, more than 200,000 Americans entered substance abuse treatment primarily for marijuana abuse and dependence. More teens are in treatment for marijuana use than for any other drug or for alcohol. Adolescent admissions to substance abuse facilities for marijuana grew from 43 percent of all adolescent admissions in 1994 to 60 percent in 1999. Q. Does marijuana have any medical value? 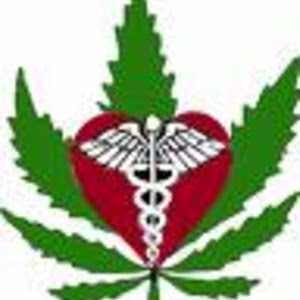 Advocates have promoted the use of marijuana to treat medical conditions such as glaucoma. However, this is a good example of more effective medicines already available. According to the Institute of Medicine, there are six classes of drugs and multiple surgical techniques that are available to treat glaucoma that effectively slow the progression of this disease by reducing high intraocular pressure. The American Medical Association recommends that marijuana remain a Schedule I controlled substance. The DEA supports research into the safety and efficacy of THC (the major psychoactive component of marijuana), and such studies are ongoing, supported by grants from the National Institute on Drug Abuse. As a result of such research, a synthetic THC drug, Marinol, has been available to the public since 1985. The Food and Drug Administration has determined that Marinol is safe, effective, and has therapeutic benefits for use as a treatment for nausea and vomiting associated with cancer chemotherapy, and as a treatment of weight loss in patients with AIDS. However, it does not produce the harmful health effects associated with smoking marijuana. Furthermore, the DEA recently approved the University of California San Diego to undertake rigorous scientific studies to assess the safety and efficacy of cannabis compounds for treating certain debilitating medical conditions. It's also important to realize that the campaign to allow marijuana to be used as medicine is a tactical maneuver in an overall strategy to completely legalize all drugs. Pro-legalization groups have transformed the debate from decriminalizing drug use to one of compassion and care for people with serious diseases. The New York Times interviewed Ethan Nadelman, Director of the Lindesmith Center, in January 2000. Responding to criticism from former Drug Czar Barry McCaffrey that the medical marijuana issue is a stalking-horse for drug legalization, Mr. Nadelman did not contradict General McCaffrey. "Will it help lead toward marijuana legaization?" Mr. Nadelman said: "I hope so." Q. Does marijuana harm anyone besides the individual who smokes it? In a 1990 report, the National Transportation Safety Board studied 182 fatal truck accidents. It found that just as many of the accidents were caused by drivers using marijuana as were caused by alcohol -- 12.5 percent in each case. Consider also that drug use, including marijuana, contributes to crime. 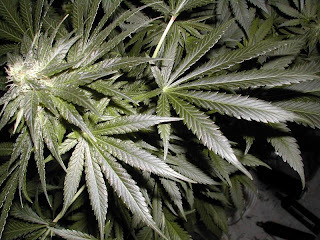 A large percentage of those arrested for crimes test positive for marijuana. Nationwide, 40 percent of adult males tested positive for marijuana at the time of their arrest. Q. Is marijuana a gateway drug? Yes. Among marijuana's most harmful consequences is its role in leading to the use of other illegal drugs like heroin and cocaine. Long-term studies of students who use drugs show that very few young people use other illegal drugs without first trying marijuana. While not all people who use marijuana go on to use other drugs, using marijuana sometimes lowers inhibitions about drug use and exposes users to a culture that encourages use of other drugs. Marijuana is a dangerous, addictive drug that poses significant health threats to users. Marijuana has no medical value that can't be met more effectively by legal drugs. Marijuana users are far more likely to use other drugs like cocaine and heroin than non-marijuana users. Drug legalizers use "medical marijuana" as red herring in effort to advocate broader legalization of drug use.